Note: Some audio jacks on headphones/earbuds may not fit properly in your mobile device while mounted to the Gear VR. A: You can connect a headset or a Bluetooth headset to the mobile device when using the Gear VR. 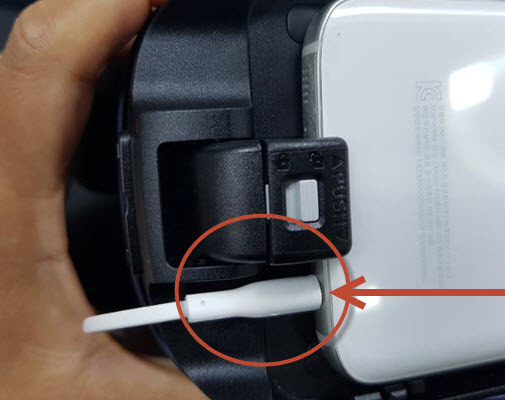 If this is the case, do not force the connector into the mobile device as this may cause damage. To use a headset or a Bluetooth headset while using the Gear VR, connect it to your mobile device before connecting the mobile device to the Gear VR. Headsets and Bluetooth headsets are sold separately.